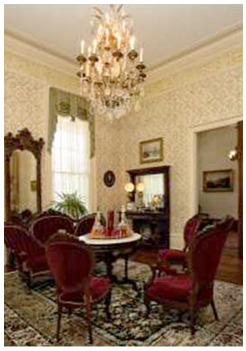 The House of the Seasons continues efforts to preserve historical furniture and fine art. Recent acquisitions include paintings that were original to the home. The House of the Seasons historic location, hospitality and amenities provide a perfect bed and breakfast getaway. The House of the Seasons offers bed and breakfast accommodations and is an exclusive destination for special events and tours. In addition, we have a private home available with two bedrooms, kitchen and dining room. The Marsh Place is available for a two-night minimum rental.